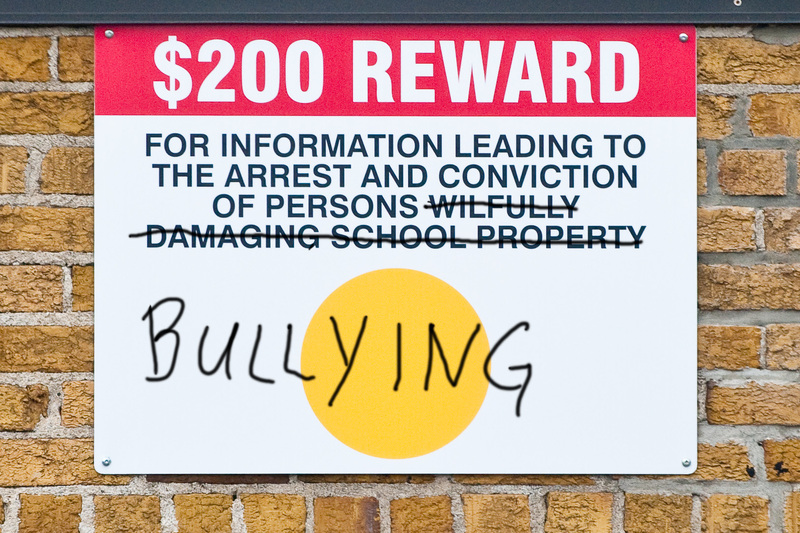 I’ve got an idea and I believe it would have a dramatic affect on bullying in schools. In Ontario (Canada) schools, we have these signs with yellow dots that encourage reporting of acts of vandalism with a $200 reward. 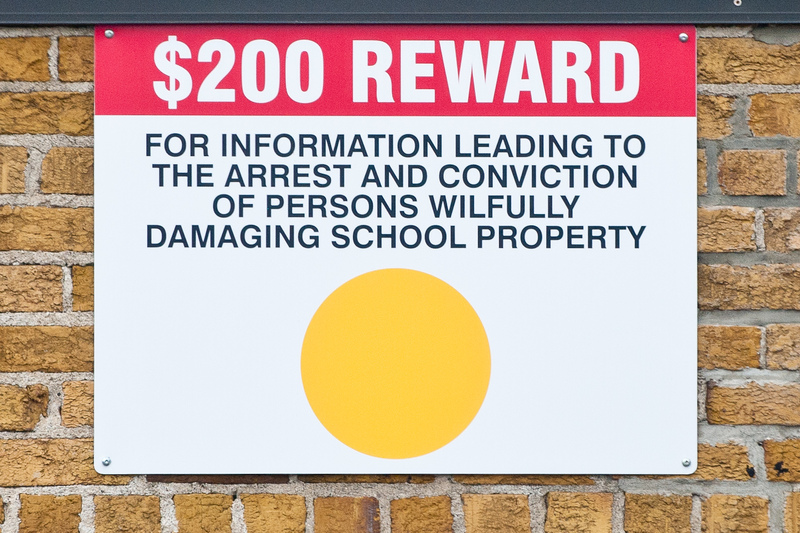 What if we took the same concept and offered kids $200 for reporting bullying? I have two sons who are 13 and 15 years old and I know for a fact that $200 for reporting a bully would certainly get their attention. By the way, this sign was Photoshopped not vandalized. This entry was posted in Blog, Bullying and tagged bullying by Scott Chisholm. Bookmark the permalink.